My ID Hive is our next generation My ID band which was entirely designed with the active lifestyle in mind. The band is made from a comfortable silicone material with a simple snap-and-tuck fastener. The metal My ID Pod is made from a solid piece of anodized aluminum that is modular in desig and allows it to fit into a variety of bands, necklaces, and wearables. 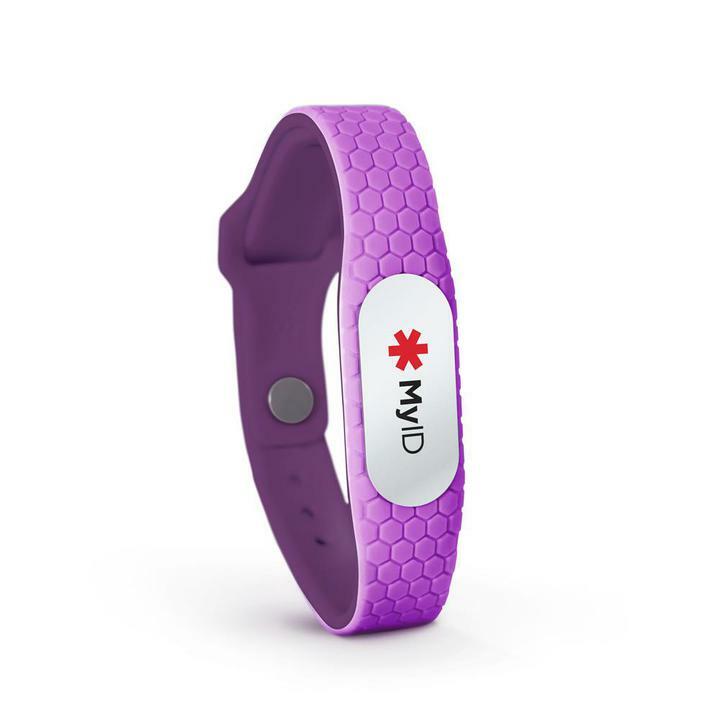 The 3 access points to your medical profile are laser engraved for maximum durability.